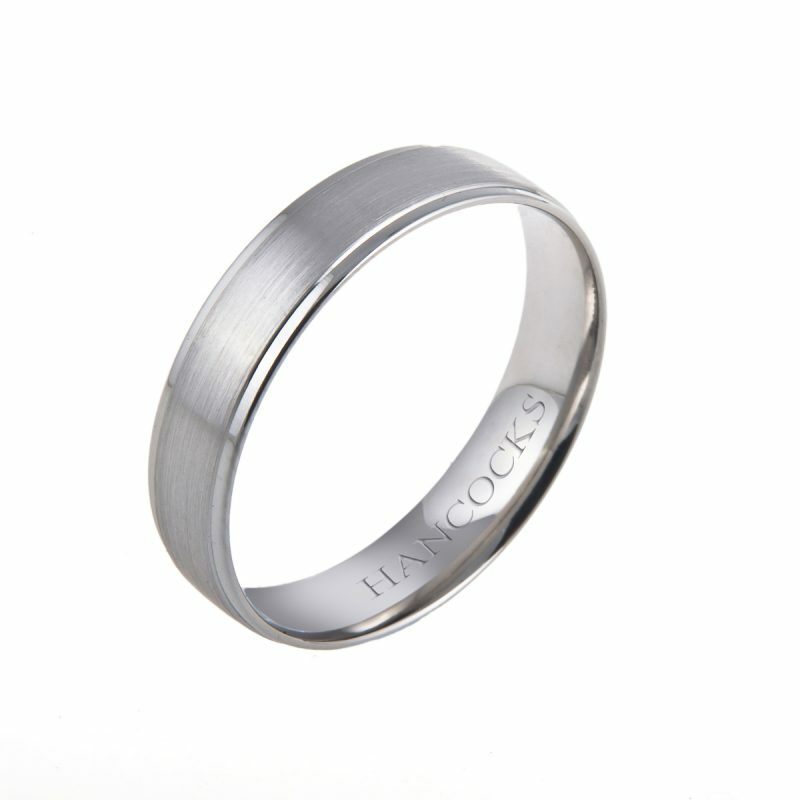 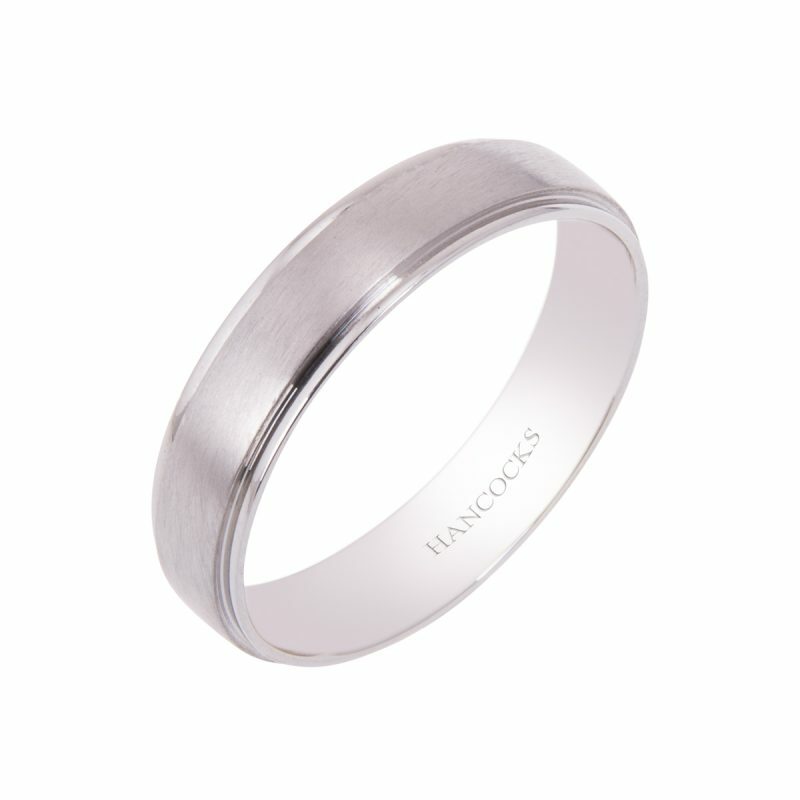 Gents matt textured platinum wedding band with an asymmetrical polished section. 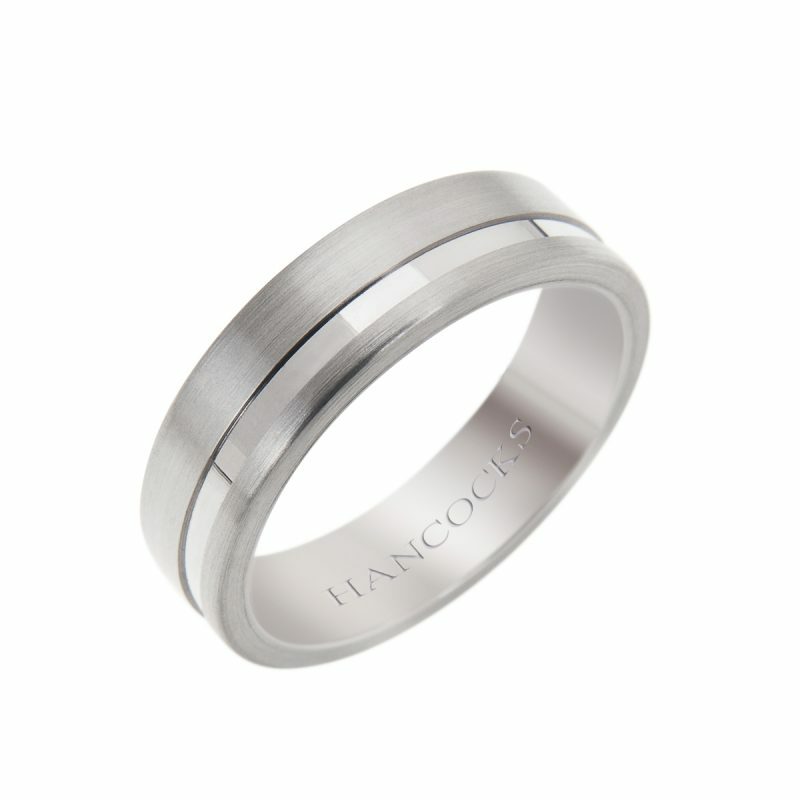 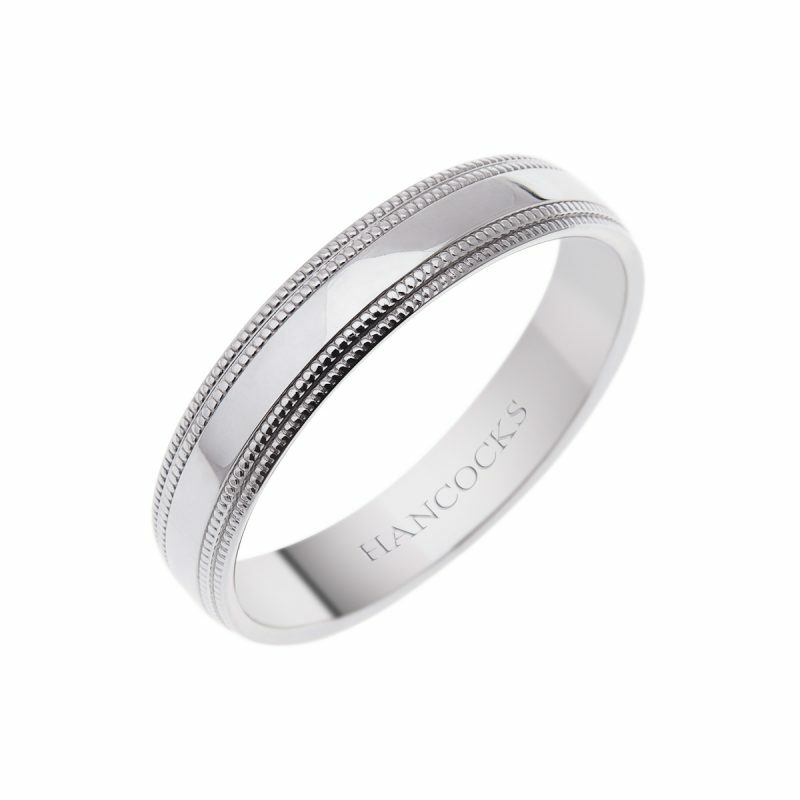 Striking the right balance is skilfully achieved with this matt textured platinum wedding band. The subtlety of satin next to the polished section creates an eye-catching and stylish ring that you will treasure forever.